The belief behind Five Element Acupuncture is that everything on earth or within the universe is related to the five elements. These five elements are Wood, Fire, Earth, Metal, and Water. These elements are not only contained in the natural world around us but are also present within each of us. These elements work together to maintain health and only when they become imbalanced do symptoms of disease occur. 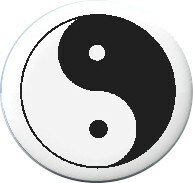 Many things can upset this balance and cause ill health or disharmony. The aim of a five element acupuncturist is to stimulate the body’s own healing response and help restore its natural balance, thus enabling the recovery of the equilibrium between the elements and therefore restore the person to better health. Observing the seasons can help to give a better insight into how these elements come in to play, and produce this constantly changing cycle of energy that is essential for good health, balance and harmony for all things. The Wood energy is predominant in the spring. We see evidence of it all around us in the plants and the trees. This is the time of rebirth, renewal determination and re-growth. It is a strong, forwards and upwards moving energy which gives us the ability to make decisions and form plans so we too can reach out and grow. As spring turns to summer the Wood element has provided the fuel to feed and bring forth the Fire energy. This is the time of maximum light and warmth from the sun. Enabling us to give and receive warmth, love and friendship from those around us and experience the joy of being alive, to laugh and be happy. As summer turns into late summer and the Fire element has delivered the warmth that allows the Earth element comes to the fore. This is when mother nature/mother earth supplies the harvest. It is a fertile and nourishing time. When we can feel safe and nurtured and in turn give out comfort and care to others. As late summer turns into autumn and Earth has provided the minerals that gives us the Metal element then the energy starts to decline. This is a time of inspiration and letting go. As the leaves wither and dye their colours bring about a poignant beauty before they fall from the trees. Within us their may be a sense of loss for the summer past, but we need to let go, move on and make room for the new. As autumn passes into winter and Metal has severed its connection with the past then the Water element takes over. This is its time for showing its hidden depths as it changes its form from liquid to solid – water to ice. This is the period for resting. Animals hibernate, trees and plants become dormant. Within us it is a time for reflection and time to replenish our reserves. As winter turns into spring the Water element has given us the chance to be restored and ready for this new burst of Wood energy, and so start the cycle all over again!